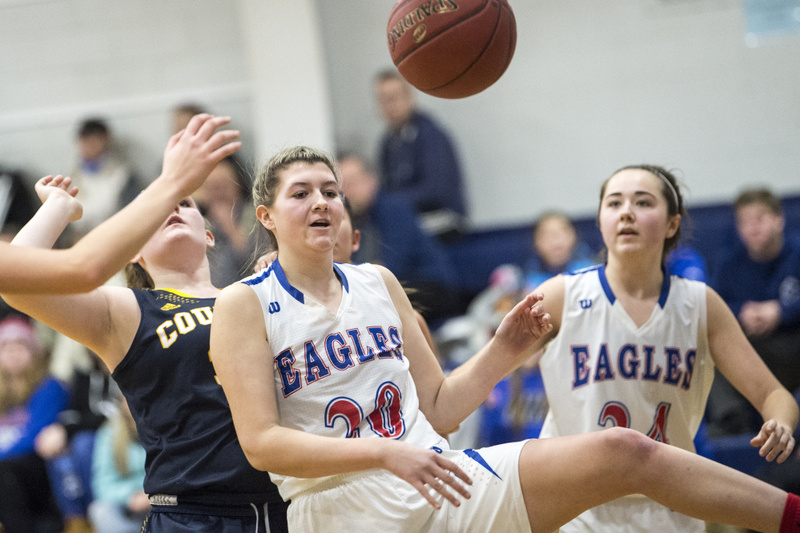 The opening of the 2018-19 winter sports season has not been kind to the Messalonskee girls’ basketball team as the Eagles suffered consecutive losses. But Messalonskee coach Keith Derosby is not one to panic. A year ago, his team lost by almost 40 points to opening game opponent Hampden Academy and then went on to reach the Class A North finals for the second year in a row – the Eagles lost to Hampden in overtime in that regional title match. Messalonskee features three returning starters, most notably junior Gabrielle Wener, a 6-2 forward who already is getting scholarship offers from Division I colleges. Wener has been a starter since her freshman year, a season that ended with the Eagles winning the Class A state title. She is joined by fellow returnees Katie Seekins and Alyssa Genness, both seniors. Derosby said six other players on the roster saw significant playing time last season, and he sees some of his younger players taking on big roles this winter. The Messalonskee boys’ basketball team, which narrowly missed making the playoffs last season, does not have a single senior on the squad. But they have a number of younger players who saw ample varsity experience a year ago, including junior Tucker Charles, a returning starter at guard. Sophomore Matt Parent is another experienced varsity performer, having started 12 games last season.